The team of the project submitted to publication 8 articles, 5 of which were already accepted for publication (Revue Roumaine de Philosophie, Intersections, Procedia-Social and Behavioural Sciences and a collected volume published by Oxford University Press). The other 3 articles submitted are in the process of peer-reviewing (Revue Roumaine de Philosophie, Journal of Early Modern Studies). Members of the team published 4 book-reviews and acted as editors for two special issues (Journal of Early Modern Studies, Society and Politics). The team organized two workshops and an international colloquium in Bucharest and 3 panels/symposia at international conferences. The team also co-organized a two-week research seminar at Princeton University (see below). Members of the project got invitations to contribute to special issues of Intellectual history review, a collection of articles published by Springer, Intersections (a special issue on French natural history) and Minnesota Studies in Philosophy of Science. 1. Charting the research territory through the exploration of natural historical writings from the second part of the sixteenth century and the beginning of the seventeenth century (works of cosmography, natural history, medical histories, mechanics, natural philosophy) in order to find early forms of empirical research and experimentation. This was supplemented by more focused individual work on particular experiments and their seventeenth-century reception. This objective was realized through exploring libraries (British Library, Warburg Library, Princeton Firestone Library, the library of Melanchthon House in Bretten), engaging into exchanges and collaboration with researchers and groups from London, Princeton, Paris, Ghent, Bretten, Nijmegen etc. A major achievement was the initiation of a long-term collaboration with the members of The Oxford Francis Bacon team. In order to further discuss the findings and test our working hypotheses, we have organized one workshop and two international colloquia in Bucharest (see below). The members of the team took part in 5 international conferences and seminars and organized 3 panels devoted to early modern experimentation in the international conferences of the European Society for the History of Science (ESHS), History of Science Society (HSS) and Integrated History and Philosophy of Science group of discussions (&HPS). The members of the team submitted for publication 8 articles of which 5 were already accepted for publication (the other 3 being currently in the process of peer-reviewing). This was realized in two steps: the first step was to hire an initial team made of 2 researchers and 4 students and put them to work together. Of the initial team of 4 students, 3 succeeded, during 2012, to get prestigious scholarships in order to pursue their studies in the doctoral schools of the University of Ghent and Nijmegen. As a result of this success, we have performed another selection in order to hire one more researcher and one more student (this selection took place at the beginning of December 2012). In this moment, therefore, the project has two sorts of collaborators: full-time collaborators based in Bucharest and part-time collaborators (external collaborators) based in Nijmegen and Ghent. Full-time collaborators (in Bucharest): 2 researchers, Mihnea Dobre, Sebastian Mateiescu and one student, Sandra Dragomir. Part-time collaborators: Doina Cristina Rusu (on a joined PhD: University of Bucharest/ Radboud University Nijmegen) and Laura Georgescu (University of Ghent). New collaborators (starting on 1st January 2013): 1 researcher, Oana Matei and 1 student, Claudia Dumitru. 3. The third objective for this year was to begin the exploratory work to what will be the first Romanian translation/ edition of one of the most popular works of natural history of the seventeenth century, namely Francis Bacon, Sylva Sylvarum (1626). In this work, the team has worked together on Century I –III of Sylva Sylvarum. By the end of the first year of the project we have got a good draft (with corrections, historical and interpretative footnotes) of Century I, a rough draft of Century II and a complex glossary of terms. In terms or research, the members of the project have pursued their work along three major axes. The first of these involved the investigation of natural historical and cosmographical literature of the 16th and 17th century from the cosmographical works of Sebastian Münster and François de Belleforest to the geographical works of Samuel Purchas, and from the natural histories of Conrad Gessner and Agricola to the experimental natural histories of Bacon and the early Baconians. For the first half of the year, the weekly meetings of the seminar were devoted to the exploration of some of the early modern cosmographies, natural histories and works of mixed-mathematics that might have constituted some of the important sources behind Francis Bacon’s project of a ‘reformed’ astronomy (and a parallel reformed astrology). Dana Jalobeanu has written a paper on late sixteenth-century natural histories of the heavens and the way Francis Bacon’s own project of building up a natural history of the heavens fitted in this context (paper accepted for publication in a special issue of Intersections, dedicated to the reception of Copernicus in Europe). She is also pursuing an in-depth exploration of Francis Bacon’s conception of natural history and mixed mathematics, subjects on which she gave talks at University of Aberdeen, Princeton University, University of Western Ontario. The second important line of exploration was the one devoted to the ‘creative’ and ‘heuristic’ value of experimentation. Dana Jalobeanu pursued her research for a forthcoming book on Bacon’s experientia literata and Mihnea Dobre wrote a paper on one of the curious ‘scientific’ objects of mid-seventeenth century European research, namely the glass-drops (article submitted for publication for the Journal of Early Modern Studies). In the same direction of research, Doina Rusu explored the similarities and possible influences between Giovanni Battista Della Porta’s Natural magick and Bacon’s Sylva Sylvarum and Laura Georgescu wrote two papers on various aspects of exploratory experimentation in Bacon and Gilbert (one of which was submitted for publication to Journal of Early Modern Studies). The third line of research was the investigation of early ‘empirical’ elements in the reformed theology of Philip Melanchthon. Two members of the project, Sebastian Mateiescu and Sandra Dragomir have devoted the major bulk of their research to the exploration of Melanchthon’s reformation of learning, exploring particularly his prefaces to manuals of astronomy and medicine. Both Sandra Dragomir and Sebastian Mateiescu went to a research stage of 1 month to Melanchthon House in Bretten and discussed and work with prof. Gunther Franck, one of the leading experts in the field. During this research stage, Sandra Dragomir has written a paper on Melanchthon’s version of non-speculative Aristotelianism, paper that she subsequently presented both in the second workshop of the project and at the ESHS conference in Athens. Sebastian Mateiescu wrote a paper on Melanchthon’s notion of ‘universal experience’, paper submitted for publication to Revue Roumaine de Philosophie. 1. Mihnea Dobre, Knowledge and Certainty in the Foundation of Cartesian Natural Philosophy. Revue Roumaine de philosophie 57 (1): forthcoming (June 2013). 3. Dana Jalobeanu, Constructing natural historical facts: Baconian natural history in Newton’s first paper on light and colors, in Zev Biener and Eric Schliesser, eds. Newton’s Empiricism, Oxford University Press, 2013 (forthcoming). 4. Dana Jalobeanu, A natural history of the heavens: Francis Bacon’s anti-Copernicanism, in C. Zittel, Copernicus and its reception, Intersections forthcoming. 5. Sebastian Mateiescu, Philip Melanchthon and the concept of universal experience, submitted to Revue roumaine de philosophie 57 (1): forthcoming (June 2013). Geoffrey Gorham, Kenneth Waters, Chris Smenk and Benjamin Hill). She has also received the invitation to write the article on Newton’s Baconianism for a special companion on Isaac Newton’s philosophy edited by Eric Schliesser and Chris Smenk (Oxford University Press, in progress). Sebastian Mateiescu: “Akrasia in the Early Modern Thought”-Review of Risto Saarinen, ‘Weakness of Will in Renaissance and Reformation Thought’ (New York: Oxford University Press, 2011) Society and Politics, vol. 6, no 1, 2012, pp. 96-98, Sebastian Mateiescu: “Science and Religion and the Myth of Their Conflict”-Review of Peter Harrison (ed. ), ‘The Cambridge Companion to Science and Religion’ (Cambridge: Cambridge University Press, 2010) in Society and Politics, vol. 6, no 2, 2012, pp. 114-116, Sebastian Mateiescu: “Review of Histories of scientific observation”, Daston, Lorraine; Lünbeck, Elizabeth (eds. ), (Chicago: University of Chicago Press, 2011), submitted to Journal of Early Modern Studies, Sandra Dragomir, “A Historical Exposition of Man’s Perennial Search for Certitude”, review of Susan Schreiner, Are You Alone Wise? The Search for Certainty in Early Modern Era, Oxford University Press 2011, in Society and Politics, vol. 6 no 1, 2012, pp 94-97. The team has organized one workshop and two international colloquia in Bucharest and two panels in international conferences. The team has also co-organized a two-week research seminar at Princeton University. ➨ Francis Bacon on natural history and natural magic: the mystery of Sylva Sylvarum” (Princeton University, 14-27 Mai 2012). This 2 weeks workshop was organized by Daniel Garber (Princeton University) and Dana Jalobeanu (University of Bucharest) by putting together funds and resources coming from three research projects (based respctively in Princeton, London and Bucharest). For some members of the project this was both a research stage and a very intensive seminar in which they had the chance to get in touch with some of the English team responsible for the editing Sylva Sylvarum in the Oxford Francis Bacon edition. Dana Jalobeanu, Laura Georgescu and Doina Cristina Rusu took part in the daily discussions, presented papers and coordinated reading groups. Mihnea Dobre organized a symposium at the European Society for the History of Science in Athens: Cartesian physics and its reception: between local and universal (Participants: Ricardo Lopes Coelho (University of Lisbon), Fillip Buyse (CSHPM – University of Paris 1), Vincent Jullien (University of Nantes), Delphine Bellis (Ghent University), Maija Kallinen (University of Oulu)). Mihnea Dobre also took part with a paper at &HPS conference in Athens (March 2012) with a paper on Vacuum Experiments in Cartesian Context). Dana Jalobeanu co-orgaized a panel on Experimenting in Baconian Stile at HSS/BSHS/CSHPS 3 Societies Meeting, Philadelphia, 11-14 July 2012 (participants: Cesare Pastorino (University of Sussex), Peter Dear (Cornell University), Daniel Garber (Princeton University), Laura Georgescu (University of Bucharest)). Members of the team presented their work at the following international conferences: ESHS Conference in Athens (Mihnea Dobre, Sandra Dragomir), HSS/BSHS/CSHPS 3 Societies Meeting, Philadelphia, 11-14 July 2012 (Laura Georgescu), Colloquium Language of nature co-organized by University of Western Ontario and Minnesota Center for Philosophy of Science (Dana Jalobeanu). In addition, members of the project presented their work at the Princeton-Bucharest seminar in early modern philosophy (July 2012, Bran Romania). Laura Georgescu co-edited (together with Grigore Vida) a special issue of the journal Societate si politica,vol. 6 no. 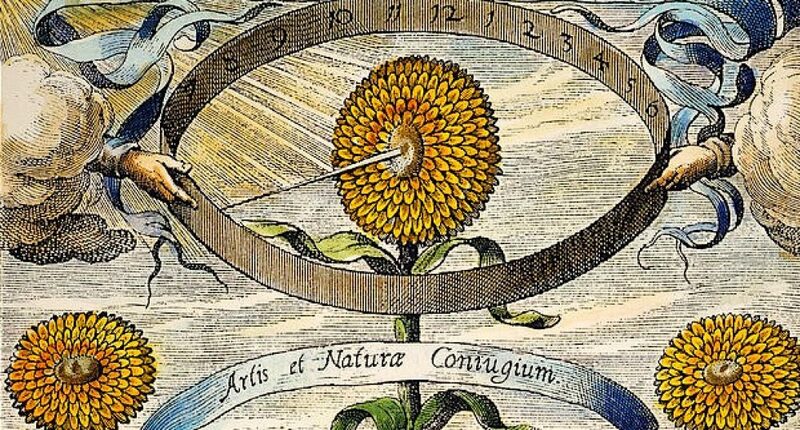 2 (2012): God and the Order of Nature in Early Modern Thought: Topics in Metaphysics, Epistemology and Natural Science, Dana Jalobeanu is editing a special issue of Journal of the Early Modern Studies dedicated to Creative Experimentation (issue 2/2013 forthcoming in the Spring).